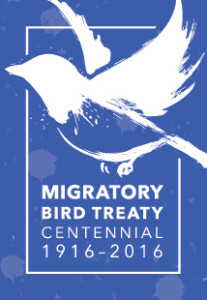 This year, 2016, marks the centennial of the first Migratory Bird Treaty, which adopted a uniform system of protection for nearly all migratory bird species that inhabit, and often migrate between, the United States and Canada. That treaty with Great Britain and the three that followed — with Japan, Russia and Mexico — form the cornerstones of PLJV’s efforts to conserve migratory birds. National and international cooperation and action are essential in conserving and protecting the world’s migratory birds. Flying over long distances involves crossing many international borders and entering different political areas with their own cultures, politics, laws and conservation philosophies. International commitment among governments and other stakeholders is important throughout the entirety of migratory species’ annual cycles and along its entire flyway to ensure cooperation and coordination to conserve migratory bird populations on global scales. Migratory birds connect people to nature; add beauty, sound and color to our world; and provide ecological, economic, aesthetic and recreational benefits to humans and the natural environment. They provide countless opportunities for enjoyment by birders, hunters, and outdoor enthusiasts and have cultural and spiritual importance. In addition, birds play a key role in the U.S. economy, supporting recreational opportunities that create jobs and generate billions of dollars in revenue. Promoting abundant sustainable bird populations and healthy habitats affords significant benefits to human society. Migratory birds contribute important environmental benefits, including pollination, disease and pest control, carrion disposal and seed dispersal. Birds have been estimated to consume 98 percent of certain insect pests, enhancing agricultural production and reducing the need for toxic pesticides, and are important pollinators of many plant species that provide shelter, food, building materials or other features used by humans. Migratory birds are good indicators of environmental health because they are visible and relatively easy to study. Birds are sensitive to environmental contaminants and can provide early warning of oncoming environmental issues. Birds and people both rely on healthy habitats (e.g. wetlands, grasslands and forests) for survival and well-being. Ensuring healthy habitats for birds provides improved water quality, groundwater recharge, flood control, erosion protection and many other benefits to human society. Conservation works; where we have invested in healthy habitats, birds do better. Healthy birds mean healthy forests, wetlands, grasslands, shorelines and oceans, even healthy cities! By conserving birds we conserve our American landscapes and the economies and ways of life that depend on them; from farmers and ranchers to outdoor recreationists to children, we all benefit when birds thrive.